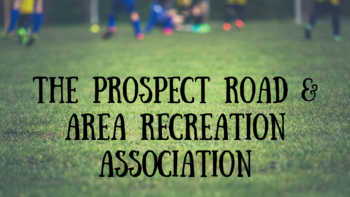 The Prospect Road Recreation Association (PRRA) is comprised of representatives of various community groups that are active in the Prospect Communities, between the areas of Goodwood to West Dover. Our role is to manage the local area rate in partnership with HRM by way of funding requests for community recreation projects and events. Additionally, the PRRA also manages the mowing contracts for the sports and recreation fields and parks in the Prospect Communities as well as the outdoor washroom facilities. The PRRA invites community groups to get involved in the Recreation Association and ask one or two members from local groups and organizations to attend our monthly meetings, which are typically held at the Prospect Road Community Centre. Please email the Chair, Kelly Carlton at kelly@prospectcommunities.com should you like to be added to the PRRA email list. Funding requests are now open for 2019! Local groups and organizations are invited to complete the Funding Request form below. The PRRA will accept requests until Monday, May 13th. Submissions will not be accepted after this date. The PRRA also accepts funding requests from local youth. This fund is open to youth who reside in the Prospect Communities from Goodwood to West Dover, and who are participating in a recreational activity or competition, at the national level and above, or the highest level that applies to the activity. **Note that youth team requests are available for a maximum of 5 youth only per team/group. Please see funding applications for full criteria. You funding requests are accepted any time throughout the year until the fund is depleted. Youth Funding Requests should be sent to PRRA@prospectcommunities.com for consideration. Note that the Resource Opportunities Centre (ROC) provides technical support and web hosting to the Prospect Road Recreation Association (PRRA) – while the two groups often work collaboratively they are each their own entity, operating separately with their own specific vision, mission, and goals.